23" flexible nylon-coated aircraft cable attaches the 6 1/2" pen to a 3"W X 2 1/8"D X 1 1/4"H matching base, pen has tamper-resistant locking feature to protect Jumbo Jogger pen refill, set is available in three colors - gold finish, silver finish, and black finish, base can be mounted to counter by double-coated adhesive or hidden screw (both included with set), supplied with Jumbo Jogger Pen Refill with your choice of blue ink with medium point or black ink with fine point. Packaged one pen per set. 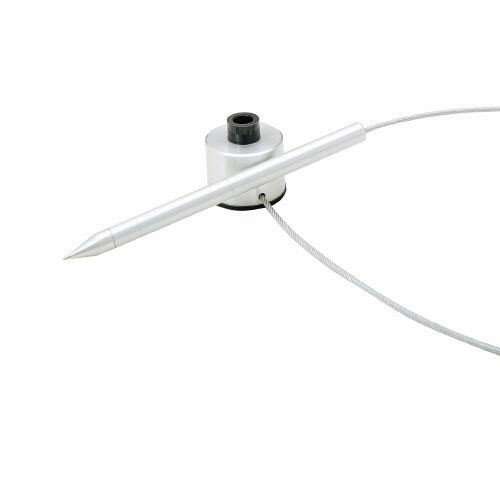 6 1/2" pen is attached to a round base with 23" aircraft cable. Pen set includes wing nut which fastens pen to countertop with a 1 1/2" Philister head machine screw. Other lengths of Philister screws available per request. Use regular screwdriver with Philister screw. Available in silver and black finish with black ink jumbo jogger refill. Packaged one pen per set. 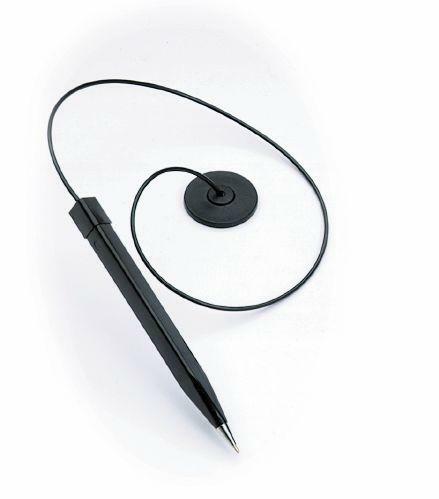 Black Aluminum Pen with telephone type plastic coil secures to plastic base. 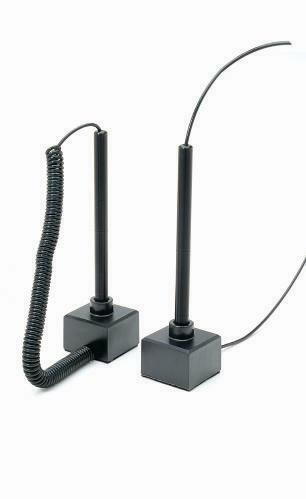 Coil extends to more than 5 feet and coils back to less than 8 inches. Pen has tamper-resistant locking feature to protect Jumbo Jogger pen refill. Available in black color. Base can be mounted to counter by double-coated adhesive or hidden screw (both included with set), supplied with Jumbo Jogger Pen Refill in your choice of blue ink with medium point or black ink with fine point. Packaged one pen per set. 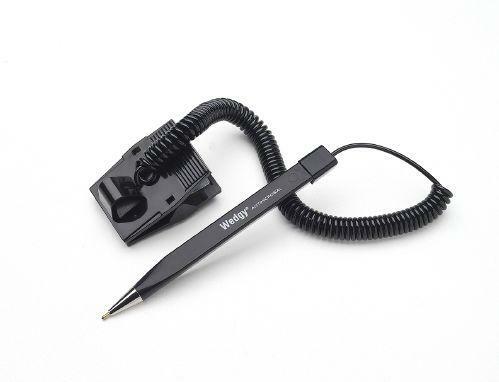 Aluminum Pen with nylon-coated aircraft cable or retractable telephone-type flexible coil connected to square cube base or round base. Silver finish base is Aluminum and Black finish base is molded plastic. Cable length is 23" and is available in black square cube base, silver square cube base and silver round base. Flexible coil extends to more than 5 feet and coils back to less than 8 inches and is available in black square cube base only. Supplied with Jumbo Jogger Pen Refill in your choice of blue ink with medium point or black ink with fine point. Packaged one pen per set. For Kable, Re-Trac-To, and Sentry Pens above. Extra capacity refills write twice as long as standard refills. Carbide tip construction. Available in Blue and Black ink and with Fraud-Resistant Security Black Ink to protect against tampering from check washing and document fraud. Packed 10 refills per pack. Pen is attached to round base by 24" length chain. Pen features rubberized grip, ridges and antimicrobial protection. Medium Point Pen can be replaced by entire replacement pen with small top chain which snaps onto pen and base. Base has adhesive for mounting. Available in blue or black pen and ink color matches the color of the pen. Pens and Replacement Pens sold individually. 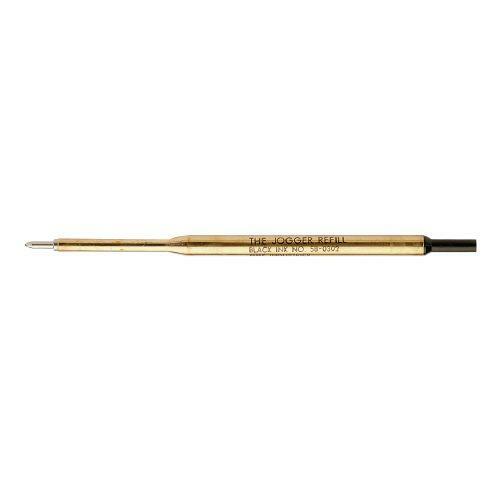 Scabbard style allows adhesive base mounting either vertically or horizontally and holds pen firmly in place. Pen with Antimicrobial Protection and is available in black ink, blue ink or with Fraud-Resistant Security Black Ink to protect against tampering from check washing and document fraud. Pens sold individually. Square-style base includes adhesive for mounting. Pen with Antimicrobial Protection and is available in black ink, blue ink or with Fraud-Resistant Security Black Ink to protect against tampering from check washing and document fraud. Pens sold individually. Spring-Loaded Clip for attachment to clipboards, books, paper pads, scorebooks, or furniture. Pen with Antimicrobial Protection and is available in blue ink. Pens sold individually. 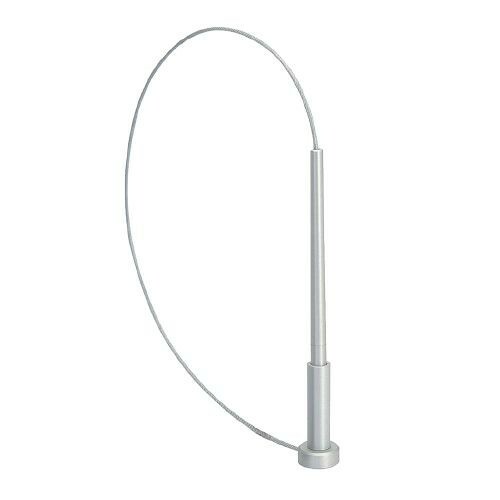 Features 18" length cable cord that connect Wedgy Pen to round base. Round base supplied with adhesive for mounting. Pen with Antimicrobial Protection and is available in blue ink. Pens sold individually. 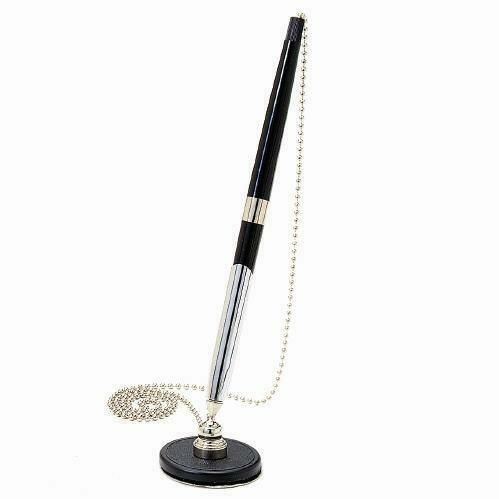 Chrome plated metal swivel socket, pen holder and adhesive base hold pen with attached chain. Chain length is 26". Pen with Antimicrobial Protection and is available in black or blue ink. Pens sold individually. For all Wedgy Pens and Chain-Riter Stick-On Pens above in addition to most desk and pocket pens. Carbide tip construction. Available in Blue and Black ink and with Fraud-Resistant Security Black Ink to protect against tampering from check washing and document fraud. Packed 10 refills per pack. **Additional Pen and Refill styles are available, for details use Contact Us tab on our website or contact Roger Zavodny directly by e-mail at roger@myvaultllc.com or by phone at 440-346-4593.